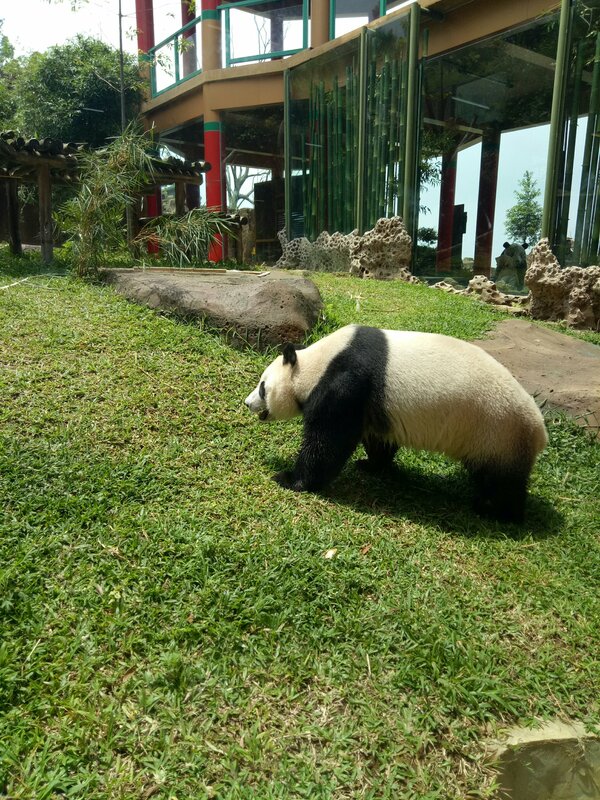 Ever since their ‘welcoming party’ in late September, Hu Chun and Cai Tao have stolen the spotlight from many other animals existed in Indonesia. 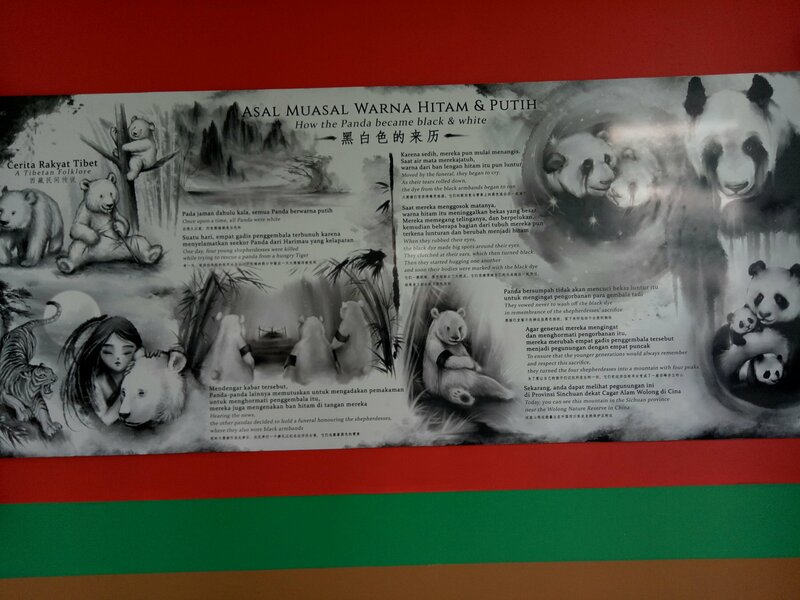 Well, those are actually the names of two furry fellows, the giant pandas that have been brought to Indonesia all the way from China! The wonderfully fluffy and FAT animals are under breeding loan for about 10 years and have been treated special in Taman Safari Indonesia at Cisarua, Bogor. 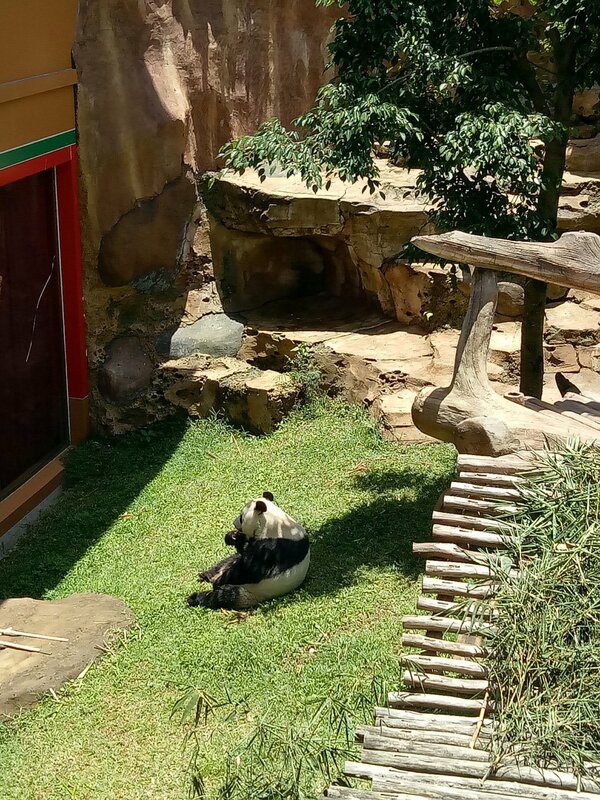 Like many other citizens in Indonesia, the existence of these two pandas excite me! As the virtuous opportunity approach to handle werk perks relating to these furry fellows, I obviously didn’t want to miss out! 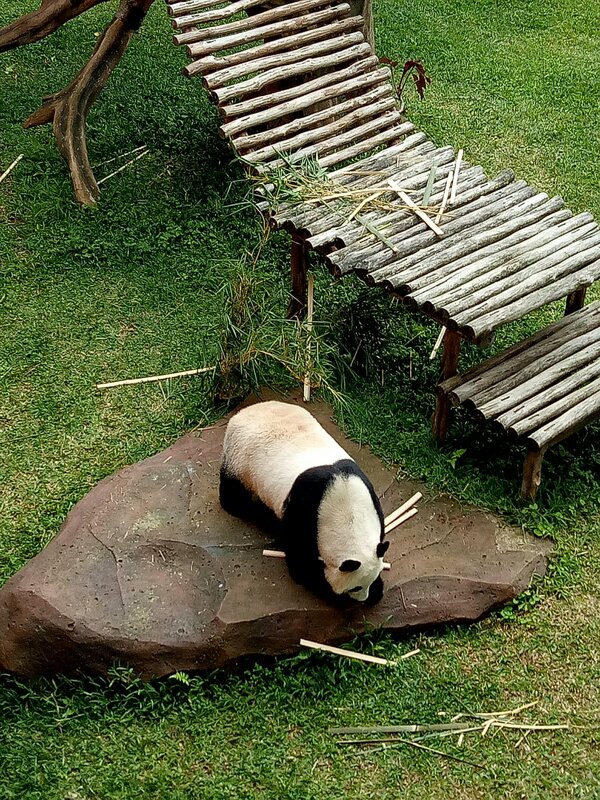 The Chinese folk story of how pandas got their black and white colors. Click to zoom and read, it’s pretty amazing! 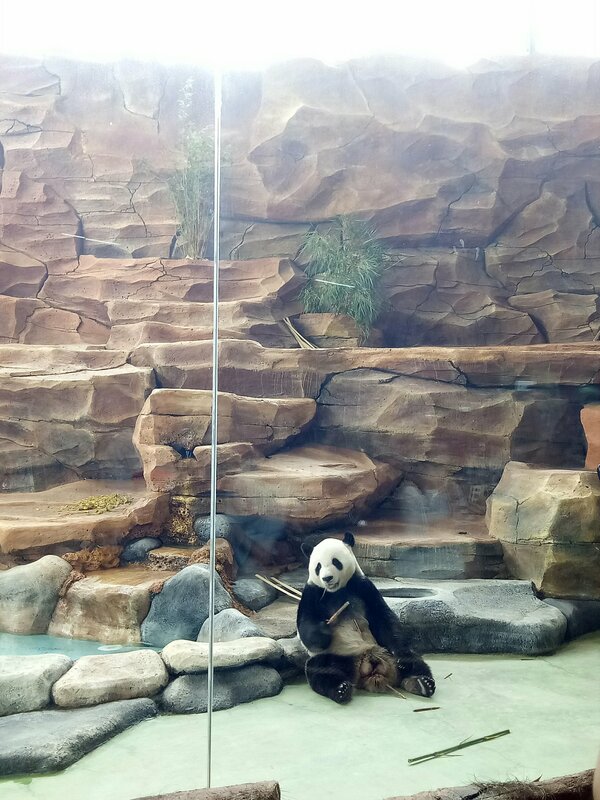 As they got out after a month of quarantine and adaptation to their new habitat in Taman Safari Indonesia, Hu Chun and Cai Tao were ready to finally be exhibited! 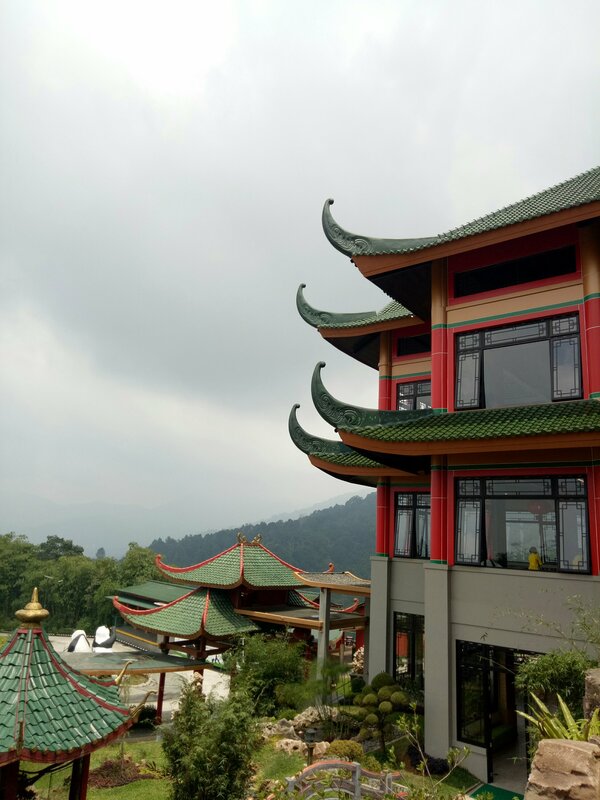 The wonderful Taman Safari have erected a new building, elevating at 1800 meters above sea level with the temperature and surrounding area similar to the gentle giants’ old habitat back in Chengdu, China. 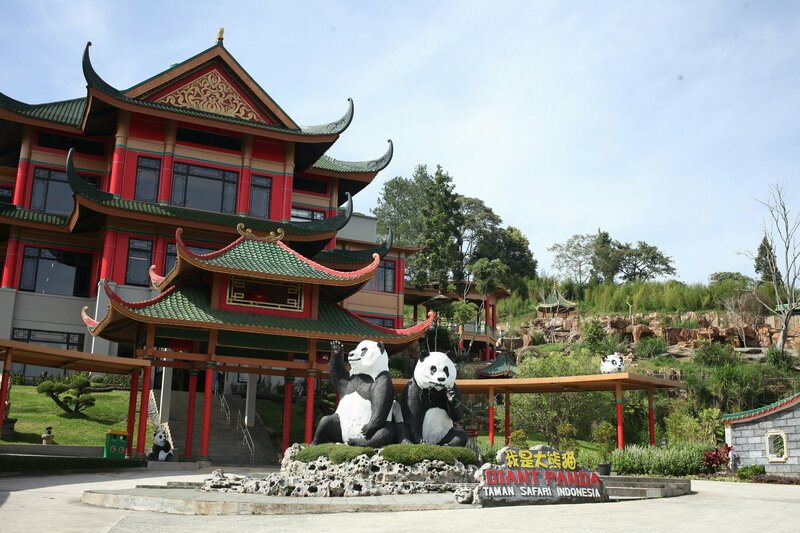 Istana Panda Indonesia— as the building called–is where the two pandas going to spend their daily eat-sleep-play-repeat. 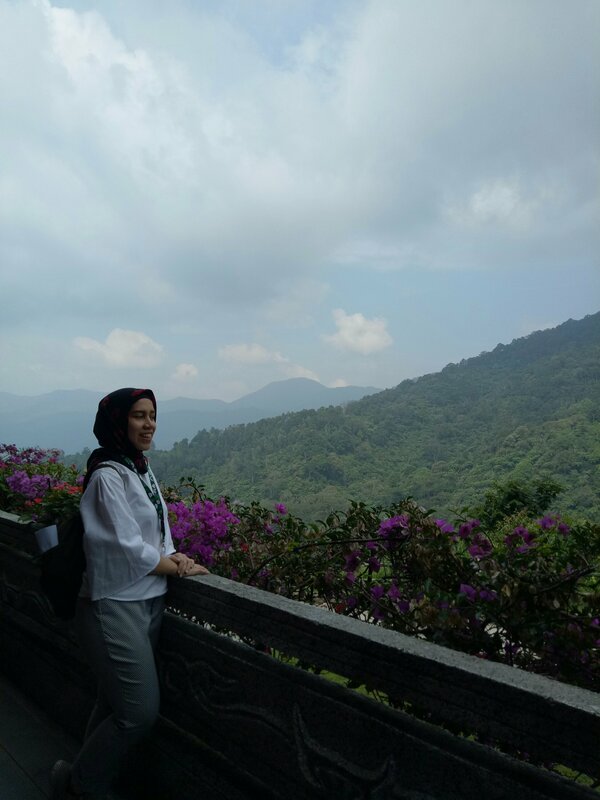 Istana Panda Indonesia is three storeys high, designed similarly like a Chinese castle with strong bright pallete, symbolic to many Chinese buildings such as green, red and gold. 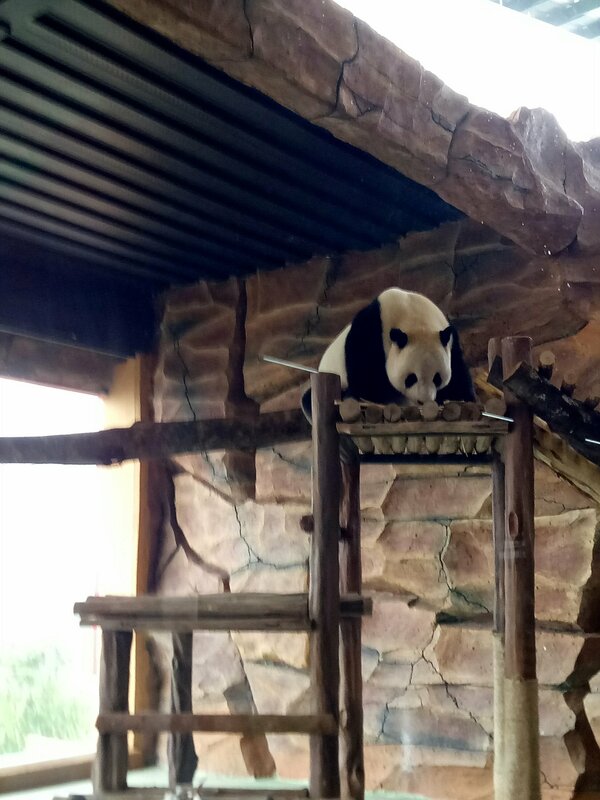 Not only that the castle exhibits the pandas, it’s also home to two other Chinese animals, Takin and Red Pandas. 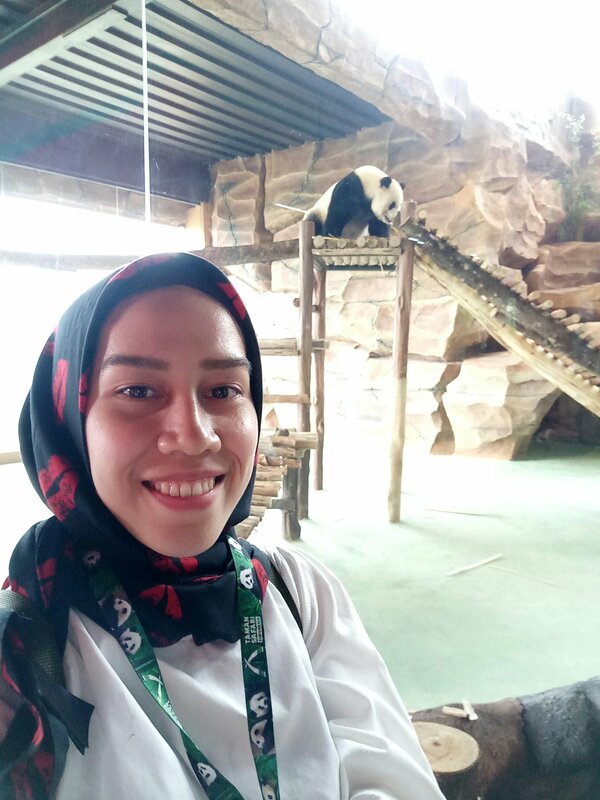 Istana Panda Indonesia is also complimented with restaurant with awesome food choices and a merchandise store that is all panda related! 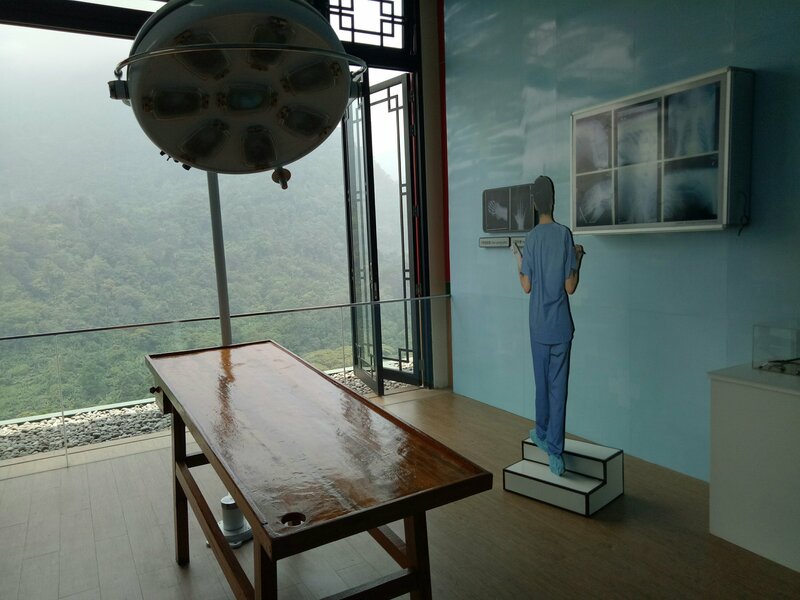 On the third floor, it has interactive panda learning center that covers knowledgeable insights about Pandas and even a dummy exhibit of a panda hospital! A replica of their check up bed, where Hu Chun and Cai Tao is treated regularly by professional vets in Taman Safari. 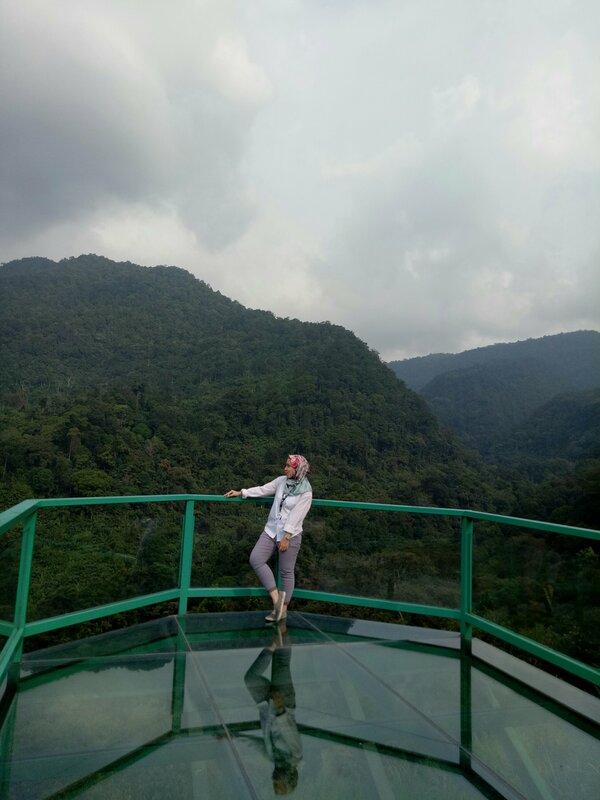 This is also something you shouldn’t miss when you come to this place: the many unique photo spots and framing with views of the large Gede Pangrango mountain! It will make you feel like you’re actually in the uphills of China! Taman Safari promise to keep these animals under a lot of care, as they use them to conserve and reproduce. 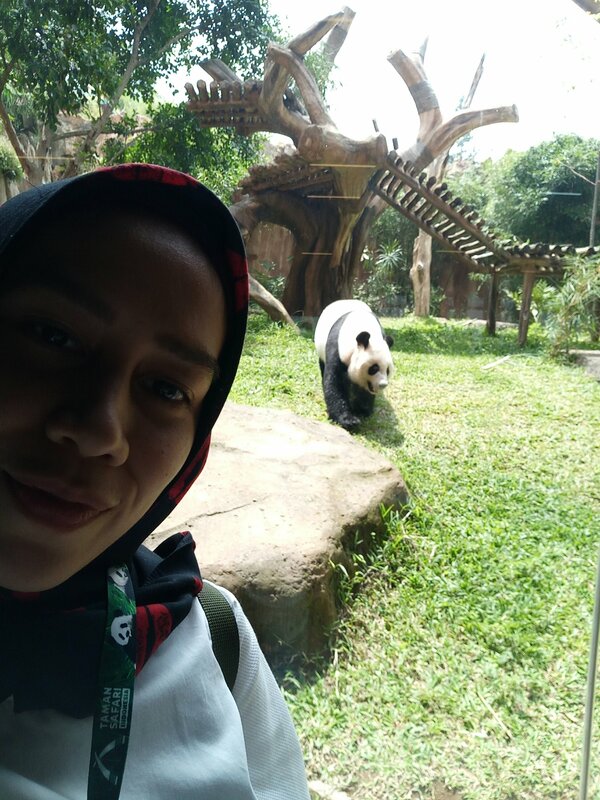 Although pandas have very little mating period (1 week/year) and known to only have 2 days to actually mate to reproduce, we hope that they will eventually able to grow a family here in Taman Safari! Starting off as an ordinary blogger from Indonesia, Diana Rikasari blossomed into someone extraordinary — she started trending online with her love for quirky and playful fashion, a genre that was acceptable and suitable for anyone with confidence! But being unable to detach herself from colours and fashion, Diana decided to go bigger with an entrepreneurial life. 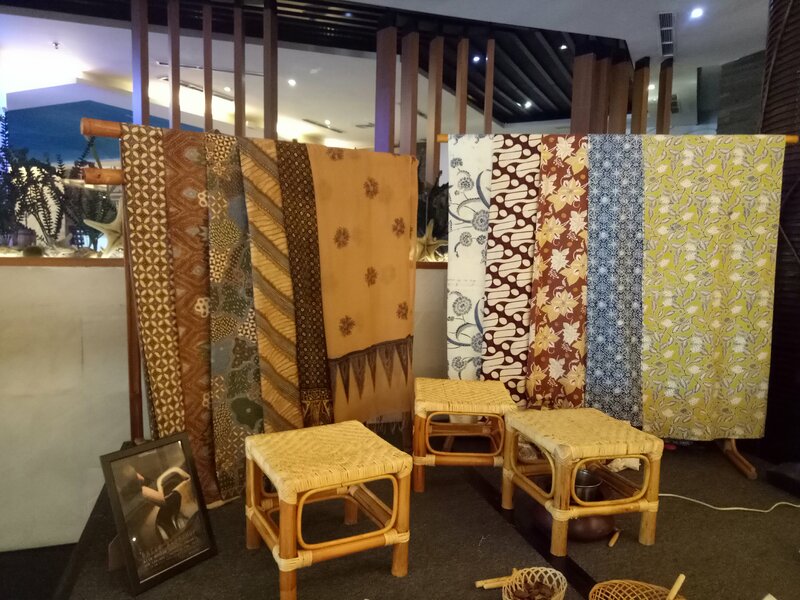 This year, Schmiley Mo was born and not only did it add new twists to everyday fashion, it also made its first debut in Jakarta Fashion Week 2017! FV: What’s Schmiley Mo (SM) all about? Schmiley Mo is a daily-wear line that offers basic clothing packaged in a fun way. They are meant to be loose and comfy – even layered – to make one’s day not-so-ordinary. FV: What was your inspiration for this collection? Daisy Pills was inspired by my love for all things tropical, bohemian and chic, so I tried to combine all three elements into something that one could wear comfortably on a daily basis. FV: What should people feel when wearing the collection? I think Schmiley Mo is wearable-quirky — it is fun but not over the top. FV: Are patches and fun stickers your signature for SM? I’ve always had major love for them, and it is slowly becoming embedded in Schmiley Mo’s DNA. The fact that the sticker trend is still growing clearly shows that one should not miss out on something like this. FV: Which is the must-have accessory to look chic and cool? I would go with pearl earrings and a thin ribbon or scarf to wrap around the neck. I’m falling in love with anklets, too!